Commercial Square Studios has been sold and fortunately for us, the council has decided to create a brand new artist container park that we can relocate to in the new year. So, we have decided to put a weekend show on of as much art as possible! It is going to be everywhere. The whole of the factory is going to open up and we are going to hang it silly. 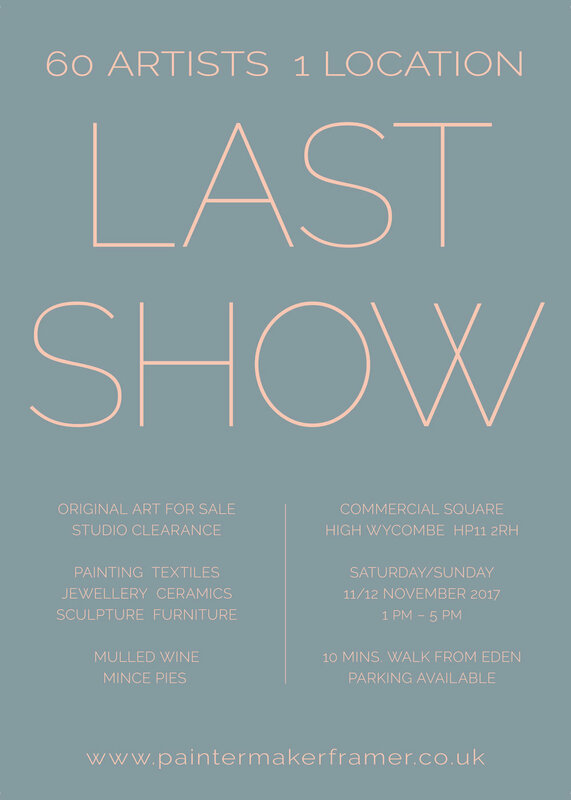 Come and join us on the weekend, it will be a lot of fun and you will also be able to get started on your Christmas shopping. November 11th & 12th from 1 to 5pm. 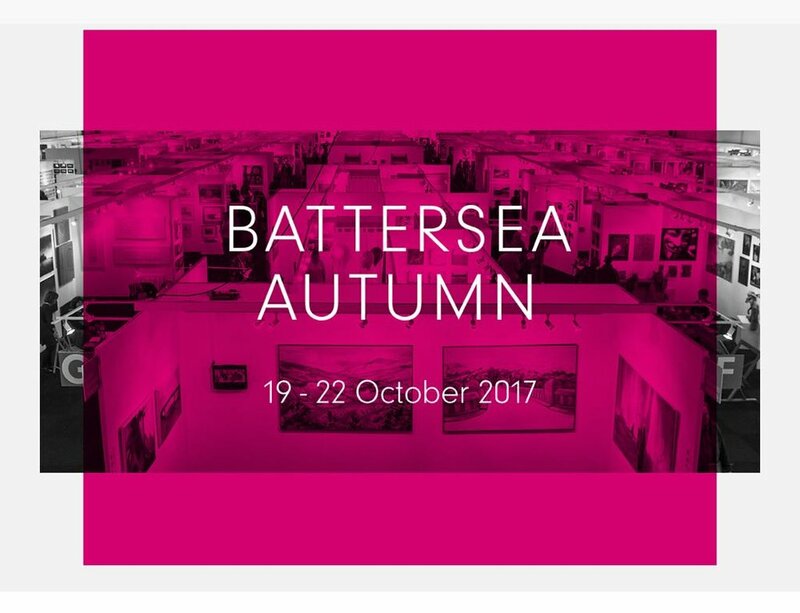 I will be showing my glass paintings with the Rebecca Hossack gallery at the Autumn Affordable Art Fair 2017 in Battersea. Its open all weekend from Thursday the 19 to Sunday the 22 October 2017. Beautiful coverage of my ‘Gratitude’ painting with ‘In The Window’. Founded in 2015 by Creative Director Jialin Kong, FAVOTELL is an new age PR agency based between London and Shanghai specialising in fashion, art, beauty and lifestyle brands. They discovered me on Instagram and invited me for an interview. Due to popular demand and an extremely warm reception, The Marylebone Hotel has requested to keep the blossom exhibition up for this spring running through to August 2017. So there is plenty of time so go and check out the paintings. The Doyle collection backs onto the 108 Rooms that have a pantry, a cocktail bar and a luxurious brassiere, so a visit at any time of day can be accompanied by a delicious culinary experience. After working in China and visiting Hong Kong for the first time in March, my paintings followed on and are being exhibited this weekend at the Affordable Art Fair with The Rebecca Hossack Gallery. One day, we can be there together at the same time! My new exhibition is opening on the 18th February with the Rebecca Hossack Gallery. So if you want a burst of spring time healing, make your way to the Marylebone hotel and bath yourself in my collection. I am loving the category of this online article that I’m featured in by The Travel Memo; Wander Woman Worldwide. It totally appeals to my era. A lovely article by Homes & Gardens came out today. I had a great response at Decorex International. I was overwhelmed by the attention and positive feedback. What pleased me most was that everyone kept saying how different and unique my work was. It helped being 'the best in show' according to Elle Decoration, what an accolade. It is such a luxurious show, with beauty dripping from every stand, it was a privilege to participate and become a part of that community. Here are some pics of my stand. As if debuting at Decorex wasn't exciting enough, I've been nominated 'The Best in Show' by Elle Decoration in their October issue review of Decorex 2015. How COOL is that! I am over the moon. Thank you Elle Decoration. Showcasing the very best of British and international design, Decorex is synonymous with luxury. The exhibition takes place at the start of the London Design Festival and again will be held in the grounds of Syon House. You can find me at Stand 14. How exciting, Rebecca is tacking one of my paintings to exhibit at the Affordable Art Fair in Singapore. I’m moving and leaving the wonderful Great Western Studio’s. I am very sad to go, but it’s time for a change. I have truly enjoyed my time here and am privileged to have been a part of the creative artist community. The time here has helped me get clarity on my path as an artist. I have found a wonderful space at The Factory Projects and it feels like the perfect next step.